The Government’s policy of a year’s free tertiary education for eligible students will benefit workers and business alike, says E tū. Of the 80,000 students forecast to take up the offer next year, 50,000 are expected to enrol in NZQA accredited industry training. In the case of industry training, eligible students will enjoy two years fee free. “There are currently about 11,000 construction apprentices but there’s a need for another 40,000 workers over the next five years,” says E tū’s Industry Coordinator, Engineering and Infrastructure, Ron Angel. “We should have begun training five years ago, but the next best time to start is right now, so this will certainly provide a boost for the relevant Industry Training Organisations to promote apprenticeships,” he says. Ron says the policy will also sit well alongside the Government’s focus on forestry and regional development. “There are huge opportunities in forestry and the primary sector where we can add value to workers and get highly trained, highly skilled people who know there’s a future and a career ahead of them,” he says. Electrician and E tū Executive member, Ray Pilley says the trades have been neglected for too long and anything which promotes trades to young people is good. “I’m an electrician and I’ve been in the industry for over 30 years. I’ve had a fantastic career. It’s well paid and you’ve got a job for life. E tū congratulates President, Muriel Tunoho on her appointment to Health Minister, David Clark’s Ministerial Advisory Group. Muriel will be joining an impressive team of highly experienced health experts including Dr Karen Poutasi, Dr Lester Levy and Professor David Tipene-Leach. Muriel says the call from the Minister to join the group came as a complete surprise. “My first question was, ‘Why me?’ But I think it’s because of my extensive experience working in the health sector as well as my work with the unions and workers,” says Muriel. Muriel is the National Coordinator of Healthcare Aotearoa, which advocates for iwi and community-based primary health providers, a position she believes also influenced her selection. “What I’m really excited about is bringing the voices of those who are struggling the most into those discussions. Muriel says she’s also impressed with the expertise of other advisory group members. The journalists’ union, E tū is calling on the Deputy Prime Minister, Winston Peters, to abandon his harassment of journalists who reported he had been overpaid New Zealand Superannuation. Mr Peters has already gone to the High Court demanding Newshub journalist, Lloyd Burr and Newsroom co-editor, Tim Murphy provide their phone records, notes and documents related to the superannuation story which ran during the election campaign. Newsroom reports he has now also told the High Court in Auckland he wants to be paid monetary damages by the two journalists. E tū’s journalist representative, Brent Edwards says Mr Peters’ attacks on the journalists could have a chilling effect on New Zealand journalism. The union is also deeply disturbed to find out that in his statement to the court, Mr Peters labelled Lloyd Burr a “National Party political activist”. Brent says this attack is reprehensible and similar to attacks on journalists in countries like the Philippines, where press freedom and journalists’ safety is taken much less seriously by the Government there. “As Foreign Minister, Mr Peters should uphold his obligation to support press freedom and journalists’ safety around the world, particularly in the Asia-Pacific region,” says Brent. Brent Edwards E tū journalist representative ph. 021 970 815. 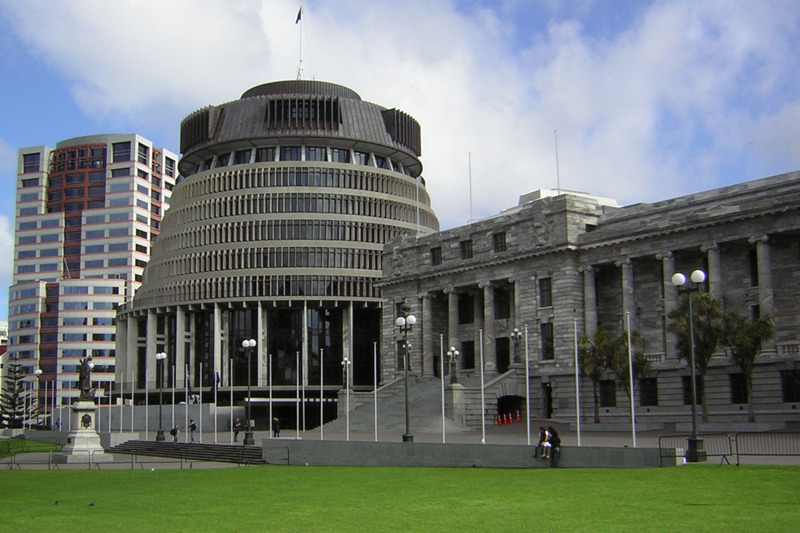 Even before the Special Votes have been counted, there is a majority in the house for real change in New Zealand politics. While the election result on Saturday night didn’t deliver an outright majority for a change of Government, a majority of New Zealanders voted against a status quo that has seen the rich get richer while living standards for the rest of us stagnate or decline. revitalising our regions through proper economic development and improved infrastructure. We now wait upon New Zealand First leader Winston Peters to decide to move the country forwards, not backwards, for working people and our communities. Mr Peters ran a clear campaign for change and we hope he will honour the voters who put their faith in him to make the right decision for New Zealand. In response to the Mood of the Boardroom earlier this week, E tū is proud to announce a new election tradition – Mood of the Smoko Room. 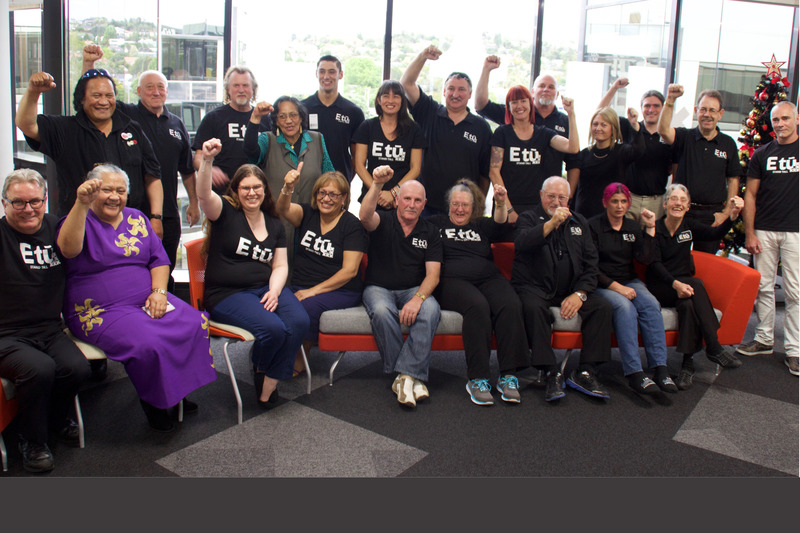 The E tū National Executive has met in Auckland this week. This is the governing body of our union, comprising democratically-elected representatives from across our eight industries. They were asked how they feel about the election and the results were unequivocal: working people want a change of Government. 100% of these workplace representatives support a change of Government, with 0% supporting the status quo. 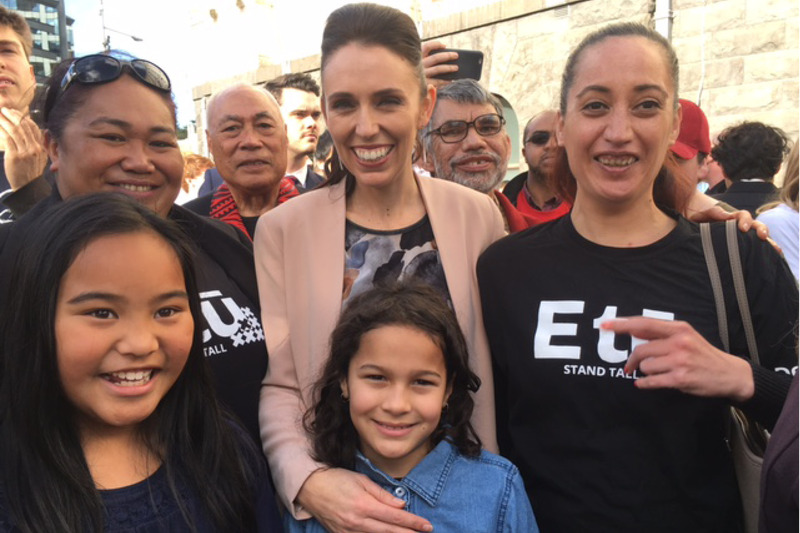 Jacinda Ardern topped the leadership ratings with the group, with an impressive 4.67 average rating out of 5, compared to Bill English’s 0.8 – a dramatic and devastating result for the Prime Minister who hopes to win workers’ votes by talking up his tax cut plan. By far the most important issues for workers were jobs and wages, followed by housing and health. E tū President and electrical technician Don Pryde says these kinds of results are to be expected as the current Government has left workers behind for so long. “Job security is a huge issue, and out of control labour hire is undercutting existing jobs and conditions. National has no positive plans for working people to address these issues,” Don says. “Decent wages are one of the most important issue facing workers as they cast their votes,” Pai says. Angelique Kerr, executive assistant and E tū’s Central Region Representative, is also ready for change. “We’ve had nine long years of going backwards,” she says. The Mood of the Smoko Room is clear. Working people say: it’s time to change the Government.